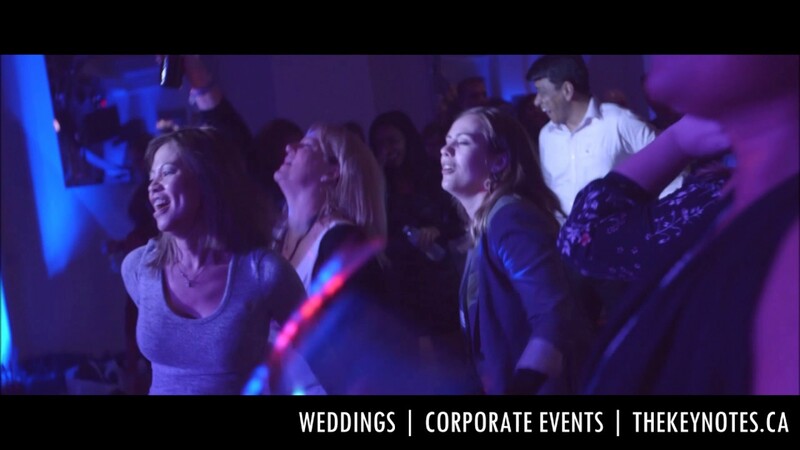 THE KEYNOTES | Toronto Wedding Band | This dynamic, fun, energetic and high impact band brings an extensive repertoire of pop, rock, & top-40 hits. Think of the most fun, modern songs that people will love to dance to and add in an arsenal of crowd pleasing hits from the last few decades. See us at Fallsview Casino or do your research and book us while we're still available. We want to start this review by thanking the Keynotes. Rich, Peter, Conrad and Maurizio, you guys absolutely killed it at our wedding. When we were starting to look for a band for our wedding we did not know how long it would actually take. In actual fact, the band and the videographer were the things that took the longest to get right! We must have looked through 40+ bands on a variety of websites, and finally we came to the Keynotes. Their setlist is definitely the most wide range of hits, their professionalism is top notch, and their website/instagram made for the perfect first impression. Once we spoke to Rich through email, he provided us with many links to videos and even a live performance that they JUST put together from a weekend prior. After watching them from these videos we were hooked. When we arrived at our venue to do first look photos, the Keynotes had just arrived as well to setup. They were well ahead of guest arrival and were ready to go well ahead of their scheduled performance. Our speeches went over the scheduled time and they accomodated to our needs. Now for the fun part....their performance. Plain and simple, they rocked! They started with signed sealed delivered and smoothly followed up with follow you down, no pun intended. Their first set was comprised of mainly 50-70s dance hits, into their second set and third set comprised of mainly 80s-2000s. But the beauty part is, we picked them all! They allowed us to look at their master setlist, as well as an already put together "wedding setlist" and add/remove any songs that we wanted. Peter, the lead vocalist, knew how to get the crowd going, asking for chants, dancing with us, and getting that dance circle moving. During and now two weeks after our wedding, we have been hearing non stop from our guests "how great the band was" and to make sure to send them the Keynotes' name for future bookings. Some guests said that it was the best part of the wedding! Boys, again, thank you so much for making our night so much fun. If you have any hesitation with the Keynotes, there is no need because I am telling you they will not disappoint. Thank you Chris & Ashley. I only wish we could leave a review for you guys. It was an absolute pleasure. I Hope it’s not too long before we look out into the audience and see your smiling faces again. We saw The Keynotes at my sister in-law's wedding in 2016. We knew then that they were something special. I've heard bands at weddings before and found that they can sound like a typical rock band where all the songs sound similar. This could not be more different from The Keynotes. They play so many different genres and transition between songs so smoothly. As soon as we got engaged, step 1 was lock down a venue, step 2 was immediately book The Keynotes. Our guests have been commenting for weeks that it was one of the best weddings they've ever been to and it was largely due to the band. They literally made our wedding and we now have a long list of friends and family that want to book this band for their events. We also used The Keynotes for an accoustic set during our wedding ceremony and it was absolutely beautiful. You will not be disappointed with them, they are absolutely fantastic! Wow Gillian, thanks so much for that endorsement. I think you're giving us far too much credit though. It was you and all of your friends & family that really made the evening. We just gave back the great energy that came our way all night long. Also, you can't discount your husband's amazing debut performance on the drums. He's never played drums before? Seriously? Hahahaha that was brilliant. Seriously though, thank you so much for these kind words. You guys were amazing to work with and that was one brilliant wedding reception. Just Wow!! My wife and I used the Keynotes for our wedding reception and they were a massive hit. The crowd was literally chanting "one more song...one more song...one more song" when they finished and the band caved to the pressure and graced the crowd with 3 encore numbers. I cannot remember a wedding where the audience was chanting for an encore. BUT, the Keynotes were THAT GOOD! The overall experience with the guys was incredible. They were responsive and professional throughout the process--making it very easy to get everything set up. On the big day they were early and got set up with lots of time before guests arrived. Then, they played an incredible set of songs over 3 hours, including being cool enough to play an encore. These guys are not some cheesy wedding band that tries to appeal to everyone and therefore appeals to no one. They are an actual band putting on a performance and a darn good one! If you're thinking about using these guys, just do it. Stop thinking. Go plan the rest of your wedding and do your future self the favor of lining them up right now. Hey Dave, thanks so much for such a generous review. We're thrilled to hear that you were happy with us. It really was an incredible night and we were thrilled to be part of it, but there was something really special about your wedding. The Distillery district is such a great spot to begin with, but who'd have thought to host a reception in a funky, brick & beam art gallery? It was beyond perfect! You and Allison are such a great couple too. All the very best to you both and I sincerely hope that it's not too long before our paths meet again. Congratulations again! Wedding band of the Century! We can't say enough great things about this extremely talented, fun and amazing band! They played at our wedding party last weekend and everyone danced all night long- ending the night chanting for 5 more songs! Rich was fantastic to communicate with prior to the event; helpful, organized and timely with email responses. Absolutely would recommend them to anyone looking to make their event amazing!! Thanks Hil, lovely to meet you and Arthur. All the best to you guys on your new journey together. Hope to be running into you guys again soon. What a wonderful group of musicians! They played great music and the singer was fantastic. They just made the party. A great time was had by all. 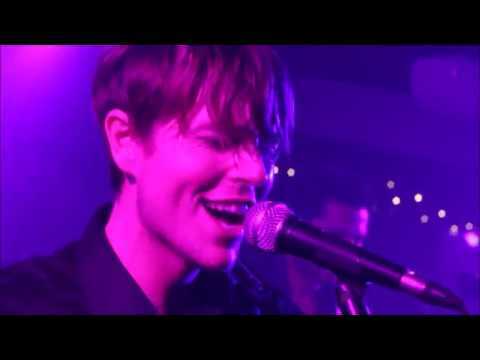 We hired the Keynotes for our wedding and it was the BEST wedding-related decision we made... besides deciding to get married of course ;) We've seen bands play at a few weddings and knew we wanted the energy a live band brings, but the Keynotes performance at ours was so far beyond that. Staff had to collapse extra guest tables to make room for more people on the dance floor a few minutes into their first set! The whole band was high energy, funny, friendly, interactive with guests.. people were raving about them all night and we received so many phone calls, texts, and emails after the wedding with the same compliments! We keep hearing that our guests can't wait to hire them for their next big event. Peter also performed our ceremony songs acoustically. It made the ceremony that much more special, and he was happy to learn to play/sing the specific song I wanted to walk down the aisle to because he didn't know it already. He did an AMAZING job. We used their "simple DJ service" over cocktail hour, dinner, and between sets. TOTALLY worth it. Literally can't say enough good things. Stop reading reviews--HIRE THEM! Wow, that is quite a review Chloe!! Is that really about The Keynotes? Hahaha. Thank you so much for this. I think we may be seeing you guys again really soon. One of your friends reached out last week asking for availability for their wedding next year. Thank you so much for making us feel so welcome and appreciated and for the great reference. You guys truly are truly an amazing couple'and your wedding was a highlight of the year for us. Had them play last night at our company Holiday gathering - they got us all up and festive! Super fun night, extremely talented bunch of musicians. Thanks for the night! We booked the Keynotes to play our wedding and could not have been happier with the professional service they provided. They went above and beyond what we had originally hired them to do. We received a lot of feedback from our guests, and the overwhelming consensus was that our guests loved the music! The Keynotes did a wonderful job! Highly recommended! Hi Ryan, thanks for the feedback. What a fun night that was. Thanks again for having us out and for being so generous as to let us film some of the evening. We're hoping to have some video to share with you guys in the next few weeks. I'll let you know as soon as I get an update. Thanks again for everything, Rich. The Keynotes played at our wedding this spring. We booked based on their video clips, music style, and reviews. Without hearing them live, we were taking a chance and I'm so glad we did! They were amazing! The guys were great a responding quickly to emails and very accommodating to music requests. I wouldn't have changed their sets at all. Everyone from my 12 year old niece to my 70 year old mother were up dancing all night. They played until we literally got kicked out of the venue. My family has been asking when they can take a 5 hour drive back to Toronto to see them play. My only regret is that I didn't start the day earlier so that they could have played longer! Thanks so much for making our night amazing. Would give them 10 out 5 stars if possible!!! We booked The Keynotes for our wedding in June because friends of ours knew we wanted a live band and told us we had no option we MUST book this band. They raved about them over and over and we went to check them out in Toronto at a gig. They sounded great and the band was really nice so we booked them. Rich was a huge help and extremely easily to deal with regarding logistics and songs leading up to the wedding. Then the big night for us came and The Keynotes delivered! They had the entire dance floor chanting encore at least 3 times and played late for us. Thankfully they did this because so many people stayed till the very end we needed an extra shuttle ride to get everyone home. Since our wedding 2 of our guests have already contacted them to play at their weddings. Also every time a conversation about our wedding comes up so does the band. They are amazing musicians and awesome guys I would definitely recommend them for all events they really play to the crowd and know how to entertain. The Keynotes blew the doors off our wedding venue and everyone loved it! My wife and I knew from our first convo with Rich that we made the right choice booking the Keynotes for our wedding. We are still hear amazing feedback about how great the band was from everyone who was there that night. The dance floor was packed and everyone was up dancing...even the older guests. We had a blast and we cant say enough great things about the guys in the Keynotes. A huge thank you to The Keynotes for playing at our wedding! Every guest we spoke to that night and the next morning said they had a blast. They really had something for every generation and kept the party going. Having everyone on the dance floor was an important part for us and we are thrilled The Keynotes made it happen! The Keynotes were a huge hit at our wedding reception. Our overall experience with the guys was incredible. Rich was very professional throughout the booking process. He answered all of our questions and accommodated our special requests, even travelling to Sudbury from their home base in Toronto for our big night. They played an incredible setlist of songs for around 3 hours and had the floor packed. One of the most common compliments we received in the days following the wedding was how great the band was. The intimacy and energy of a live band in a small space is amazing. Honestly forget the DJ... hire The Keynotes! Thanks David, thanks a million for the kind words. I'm really happy to hear that you guys were happy with us. Science North was an amazing choice for the venue and your bride was absolutely stunning. Best of luck to you guys and happy New Year to you both! Awesome band! Rocked our wedding reception! We recently booked the keynotes for our wedding. They were so friendly, professional and great to work with. We had so many compliments from guests about them, and they really made it an awesome party. They had great set lists and everyone was on their feet dancing! Book this band! I promise you will not regret it. We hired them for our wedding reception and there was not one moment when the dance floor wasn't jam packed. Their professionalism and talent far exceeded our expectations. We can't thank you guys enough! We will be seeing you again! Hi Meghan & Maris, thank you so much. The band voted and results were unanimous. One year anniversaries celebration back at Sidrabene. Count us in!!! Thank you Keynotes for making my husband’s 50th surprise party the best party ever!! From my first phone call with Rich, to the very last note played late into the night, you guys surpassed every expectation I had. Professional, fun, great with our guests and you sounded absolutely fantastic!! The music just kept getting better and better. I have never enjoyed a band at a private function that much. You would not believe how many emails I have received from our guests since Saturday night just raving about you guys. I will have to find another reason to have a party just to hire you again. Thank you for everything!!! Every person there had just an amazing time…..especially the birthday boy!! You guys truly are fantastic!! Thanks Tammy, it was an amazing night. We should have some great photos to share on the weekend. I'll make sure we get them to you. :) Thanks again for everything. Had a great night the entire band was extremely friendly and approachable love that. Would not hesitate to hire The Keynotes again for any venue. Cheers Blair ... we really enjoyed meeting yourself and Sue. Great party! Talented group of nice guys who will be sure to entertain! The Keynotes are a fun, crowd-pleasing band that will be sure to keep your guests entertained! Their repertoire is full of sing-along and dance-along favourites that audiences both young and old will be familiar with. They had a blast on stage and kept the party going by coming down to the floor to interact with the guests as well. 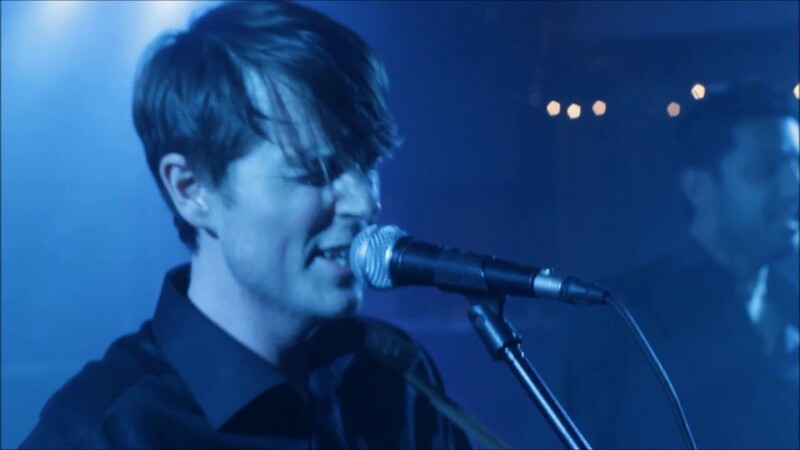 More than one of our guests asked “Where did you find these guys?” Also, our wedding was in Kingston, Ontario and we had a hard time finding local bands that suited our taste. The Keynotes had no hesitation about travelling to Kingston from their home base in Toronto and providing the entertainment for our day. The planning leading up to the wedding was easy as Rich was professional and dependable in his communications. The Keynotes are just a talented group of nice guys who love what they do and did a great job entertaining at our wedding. Don't look any further, book the keynotes for any occasion! I don't even know where to start... From the very first communication with the keynotes, they were nothing short of amazing. They were very easy to work with and there performance was out of this world. Every person we speak to about the wedding comments how great the band was. Our dance floor was packed all night with people of all ages and our guests didn't want them to stop playing. They even performed multiple encores for the chanting crowd at the end of night. The follow-up afterwords goes to show what true professionals these guys are! Thanks again Keynotes, you made our wedding a night to remember and hope we cross paths again in the future. The Keynotes played our wedding this August and they exceeded our expectations. Rich was helpful from the very first email to the day of. On the day of they played a variety of music and got everyone up and dancing till the end of our Reception. All of our guests kept telling us how much they loved the band and we couldn't agree more with them. They really made our wedding amazing and we will be recommending them to everyone! We had the Keynotes at our wedding a few weeks ago and I can’t emphasize enough how happy we were to have booked them! They kept the reception alive and well all night! You know they put on a good show when everyone else takes a break only when the band takes their breaks! Rich was very professional and easy to work with. There were several songs that we asked if the band could play (even though it wasn’t on their online set list) and we were impressed at how many they took the initiative to learn for us. The set list that we compiled with Rich was spot on, even when we were hesitant about a couple of the songs that he suggested! 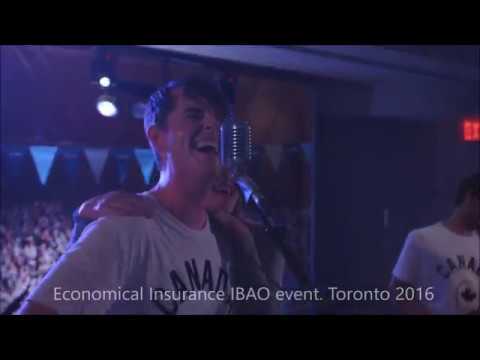 We saw the Keynotes perform at a pub prior to signing a contract with them, and they were great then, but somehow they were even better at the wedding! The energy level was high and everyone had a blast! Since our wedding we have heard over and over from our guests just how much they enjoyed the music. The night flew by! We’ll never forget this and we hope to see them perform again sometime soon. Thanks guys! We had a blast. Our event was an enormous success and it was due in large part to the casual, relaxed and fun vibe of the evening, and the Keynotes were a big part of that! The band is professional, talented, adaptable and all around great. I would highly recommend the Keynotes and I can't wait until our next event because the Keynotes will definitely be part of it. Thanks guys! Thanks so much for the kind words. We had a great time too and the steak dinner was faaaaabulous. :) Please let us know when you need us next and we'll be there with bells on! Hands down the best cover band I've witnessed! You guys ROCKED THE WINERY last night!!!! Everyone couldn't stop talking about how amazing you guys were and seriously you guys were beyond amazing! Words can't even describe! Thank you for the two beautiful songs that I requested. I loved them! Craig and I are so happy we selected you guys to play for us at our wedding! The Keynotes were absolutely wonderful to work with on our corporate event! During the planning phase they were quick to respond to messages on Gig Salad and genuinely wanted our event to be a success. At the event, they were extremely entertaining and had a huge crowd up dancing all night. Overall they were professional, polite and very talented. We've already started planning our next gig together! Thanks for the kind words Carolyn. What a fantastic event. Really looking forward to working with you again. Thanks for the opportunity. We booked The Keynotes to perform at our fundraising event and they exceeded our expectations in regards to professionalism and talent! Many people within our organization had the pleasure of seeing the band preform and we will definitely be booking them again in the future! It was an honor to be part of such an important event, so thank you again for inviting us. We're hoping that this is just the beginning of a great relationship. The Keynotes played a birthday party for my wife and it couldn't have gone any better. The guys were friendly, great with our guests, and the music was awesome! The band was easy to communicate with leading up to the event, and were true pros. Came early, got set up, and put on a great show. Will definitely be hiring them again! Thanks Marco, really appreciate the feedback. I hope to see you guys at one of our shows. If you follow the link on our website and 'like' our page we can keep you posted when we're playing in your hood. Hope to see you real soon. These guys were amazing!!!! Even though we got married on a Sunday these guys kept the party going all night, even after the bar closed my guests were shouting for more. I was worried people would go home early. My guests kept coming up to me and saying i want to sit down, but the music is too good! I can not thank this band enough. They made my wedding a success. The dance floor was packed all night. Everyone kept saying it was the best wedding they had been to, ever. This was my first time planning an event and they were really easy to work with and quick to respond to my many emails and phone calls. Don't hire a DJ, you only get married once. Hire the keynotes and you and your guests will have a blast! Hi Robin, Thank you for the kind words. You picked a beautiful venue and I'm delighted that you and your guests were so happy with us. Congratulations again and best wishes to both of you for the future! We hired the Keynotes for my 50th birthday party and it will be a night to remember for ever. They were amazing musically and especially with connecting with the party goers. They made sure that everyone was enjoying themselves and played three long, great sets including all kinds of fun music. My 82-year old parents were even up dancing! Thank you for making my 50th a wonderful evening for everyone! Hey Lauren, We had so much fun playing for you guys. What a great night. Thank you for the kind words. Claudia, thank you again for inviting us to perform for you and your guests. You have an incredible home and it was a magical night that we'll not forget anytime soon. Hope to be playing for you again soon! Have seen the keynotes live over 20 times. Always so impressed how they adapt to a crowd and get them in the party mood. From song choice to tempo to volume.... They nail it every time. I have hired them twice to play for a non profit group at my cottage. Every penny we earn goes to this gig and worth every penny. Have had several other "professional" bands play and none of them compare. Looking forward to many more gigs over the years. Had the Key Notes play at our cottage last year for an outdoor annual party. The dance floor was packed and it was a night to remember. Insurance: $2,000,000 - Fully comprehensive liability coverage. Song selection is serious business for us. We focus on really well known, upbeat modern pop & rock covers. We avoid any abstract or unknown material and focus on songs that people really respond to. Whether that be singing along, grooving in their chairs or getting busy on the dance floor. The band is rock solid and has a lot of fun on stage, but what really sets us apart from other bands is our singer and secret weapon, Peter James. The kid is as talented as he is charming and every audience we play to raves about him. We are a top quality, professional party/cover band with a mature, reliable and customer oriented approach. Our reputation is extremely important to us and this shows in all aspect of your interaction with us. We communicate effectively and are highly responsive to email, phone messages or special requests. Simply put we are great band to work with. We offer a fully turnkey situation for any occasion including all back line sound and lighting equipment included in our prices. Our repertoire is expanding constantly, but the focus for song selection is all about the dance floor. All of the songs below are in our immediate repertoire, but we always welcome new song requests for special events. Please contact us for a complete list of our sound and lighting equipment or a stage plot.